LaVerkin Utah, Ward Dowen Newby, 95, passed away peacefully at home on Sunday June 10th 2018. He was born in Idaho Falls, Idaho on January 17th 1923 to Nathan and Ruth Brown Newby. He married Reveau Christensen in SLC on January 24th 1946. They enjoyed 71 years of marriage. Ward was the 1st son of 5 children born to Nathan and Ruth Newby. Ward was raised in Idaho in his early years of life. The family then moved to SLC where he attended West High School and later joined the U. S. NAVY. Afterwards he came back to SLC to marry his sweetheart and eternal companion Reveau Christensen. Together they had 4 children. Ward was preceded in death by his siblings. Ward was a loving, kind and giving man. He was helpful to any and all who needed him. He became a professional baker and owned White Rose Bakery where he enjoyed creating and making pastries and breads. 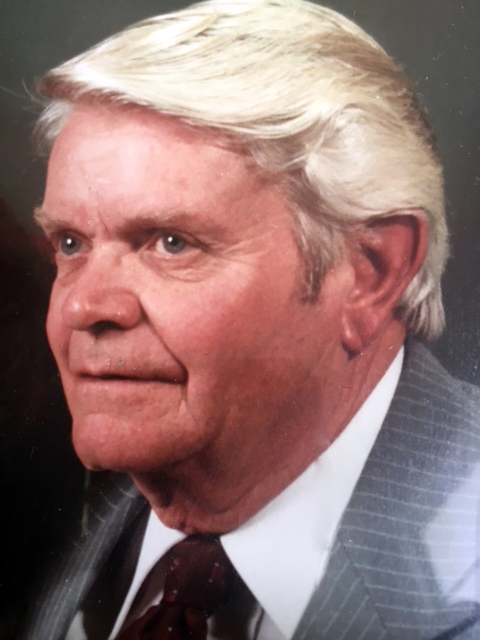 Ward is survived by his loving wife Reveau, 93, of LaVerkin UT, sons D L Newby, 70, Kanosh, UT, Paul L Newby, 67, Bountiful, UT, daughters Jan Sorensen, 65, of LaVerkin UT, and Lee Ann Brady, 62, of Henderson NV. Ward was blessed to have 22 grand children, 37 great-grand children, and 7 great-great-grand children whom he loved and adored. Funeral services will be held on June 23rd, 2018 at the Kanosh Ward Chapel. Viewing will be from 9:30-10:30 am. Funeral will begin at 11:00 am.